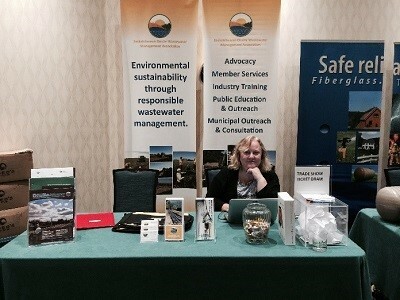 SOWMA hosted a booth and provided a presentation on soils evaluation at the Canadian Institute of Public Health Inspectors PEDS Conference, which was held in Regina on October 11 & 12. Over seventy-five health inspectors spent a full day learning about onsite wastewater design and installation, with a focus on the upcoming changes to the Saskatchewan Onsite Wastewater Disposal Guideline. Representing the industry to this key stakeholder group is critical to the sustainability for the onsite wastewater industry.